Ron Coleman is a 1975 graduate of Cathedral Prep and a 1979 graduate of Mercyhurst University. He is married and has 3 children and 3 grandchildren. 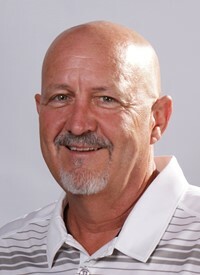 Ron works as a golf professional at Whispering Woods Golf Club and as the Director of Men’s and Women’s Golf at Mercyhurst University. He holds a record 8 EDGA Major Championships which include 3 Amateur Championships (2003, 2007, 2012) and 5 Match Play titles (2003, 2007, 2008, 2009, 2010). He won both majors in both 2003 and 2007 and his match play history includes a record 23 consecutive match play victories. He finished his match play career with 34 wins and 9 losses in 25 events (14 times qualified). Ron was runner-up in the 2002 Amateur Championship, one year before bursting onto the EDGA scene in 2003, claiming the Match Play title against 5-time Match Play champion and EDGA Hall of Famer David Ciacchini and then followed that up with a 5 stroke victory at the Amateur over 6-time major champion and EDGA Hall of Famers Tom Amendola at Lawrence Park. In 2007 Ron achieve a never before or since feat of an EDGA “Triple” when he not only claimed the Match Play Championship and the Amateur Championship, like he did in 2003, but then added the EDGA Mid-Am title as well. 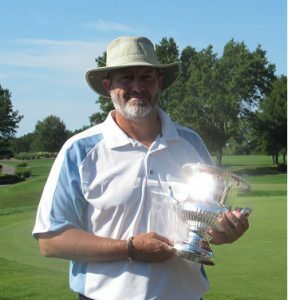 In 2008 he would add another 3 EDGA titles, winning the Match Play as well as his second Mid-Am and first JC Martin Seniors Championship. In the end, in addition to 8 majors, he claimed 2 Mid-Ams (2007-08) and 2 Seniors (2008,12) for a total of 12 EDGA individual titles which is also an EDGA record. Ron’s golfing triumphs were not limited to EDGA events. He is a 3-time WPGA Public Links champion with consecutive titles in 2007-2009. He was selected 6 times to play in the WPGA’s Palmer Cup matches, an event that includes the elite players in Western Pennsylvania. In USGA competition Ron was a two-time public links qualifier (2001, 2007). On the local club level Ron has 9 club championship victories, 6 at Downing, 2 at Whispering Woods and 1 at Lake View. He has one hole-in-one and a career low score of 64 at Peek n’ Peak. Along side his very accomplished playing career, Ron has spent years serving and working to help other golfers. He coached golf at Villa from 1989-92. at Mercyhurst Prep from 1993-96 and then at Cathedral Prep for 9 years from 1997 to 2007. More recently, in 2013, he took of the coaching duties for both the Women and the Men at Mercyhurst University, leading them to their first-ever PSAC conference championship in 2015 which also included the PSAC Individual Champion, Chris Kupniewski. 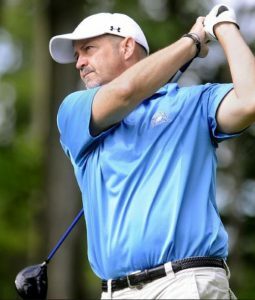 He has been named PSAC Golf Coach of the year twice. In 2010 Ron was inducted into the Erie Chapter of the Pennsylvania Sports Hall of Fame and in 2013 Ron was named the Sportsman of the Year by the Erie Times-News.